Avaaz - LET'S BEAT CORRUPTION! 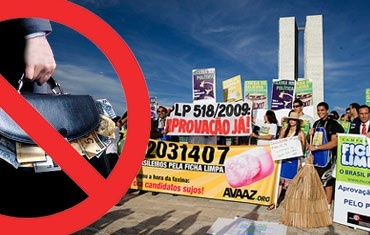 Avaaz has just run the largest online campaign in Brazil's history and won landmark anti-corruption legislation. This new law bans any politician convicted of serious crimes from running for office. It was a stunning victory as nearly 25% of the Congress is under investigation for criminal activities. This victory has shown what our community can do. But across the world corruption is destroying democracies.